I started taking pictures in 1978 after my parents gave me a Zenith E for Christmas. I suppose my uncle John in Australia also inspired me to be a photographer but more by the stories of his glorious Australian lifestyle than the pictures themselves. It was't news or sports photography that interested me anyway. 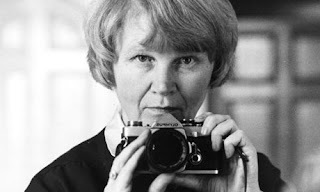 It was the portraits of Jane Bown published each week in the Sunday Observer. Her portraits were starkly graphic and visually simple. You may have seen hundreds of pictures of any one of her subjects but never one like hers. At the time I was 13 and unable to articulate the sensitivity and emotion that Jane was able to deliver every week in her portraits, and it hadn't really struck me that she was 'a woman in a mans world' competing with male photographers. I was only aware of my desire to photograph like her. This was what I wanted to do. When she stopped taking pictures I would take over, get a job on The Observer and that would be it. All very possible as far as I was concerned. Then years later I realised those male contemporaries of hers were running to keep up, she wasn't competing at all. She was and is an artist despite her own insistence that she's a 'hack'. Perhaps that was a term she used just to provide for herself a place of safety in which she could work. Each week being left to do her own thing and deliver another beautiful portrait for her editor and the their readers unencumbered by the pressures put on an artist to deliver a new kind of genius in every new piece of work. 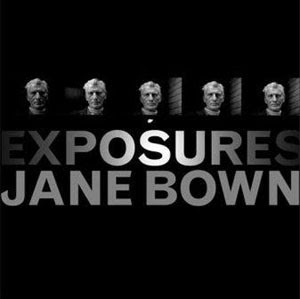 Jane Bown's new book 'Exposures' makes a beautiful collection of portraits both published and until now, unselected from a vast archive of contact sheets. The book shows an incredible range of subjects over a long career. Above all it reminds us of her real genius, a unique view point and insight that she delivered again and again. If that is the job of the 'hack' then I aspire to be a hack and leave the attempt at art to other photographers.